For next two weeks our little family is taking a drive up the West Coast to spend time with friends and family and to share about what God is doing in our lives. We’re calling it “Thomason Tour” and we hope you will follow along with us as we travel. If you’re following along on social media, be sure and watch for our Instagrams and Tweets by searching for the hashtag #ThomasonTour. You can follow us on on Twitter and Instagram. Right now I’m writing from “the road” in Walnut Creek, California where we’re spending three days. We just spent the past 4 days leading music at Grace Church of the Valley in Kingsburg and enjoying meeting many new people. Some who are following us closely have already seen that we now have a van. 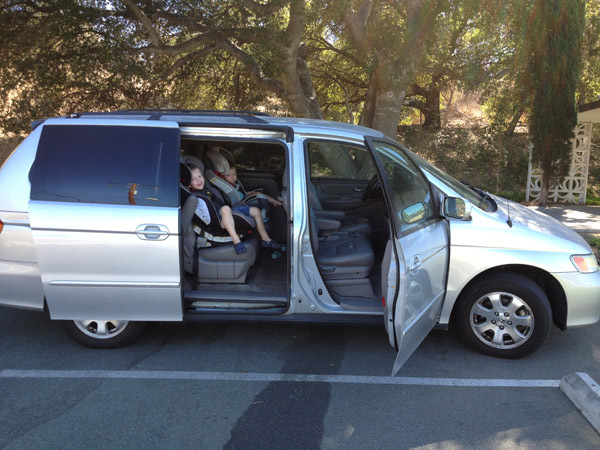 We’ve been driving a Ford Escape for the past few years, but the Lord opened up an opportunity for us to buy a used 2003 Honda Odyssey from our friend and so now we’re traveling in mini-van style. Our friends have allowed different missionaries to borrow this van over the years and so it’s been kindly dubbed “The Missionary Van” which puts a smile on our faces. Oct. 4-7 – Kingsburg/Visalia, CA | Leading music at Grace Church of the Valley and helping with junior high ministry. Oct. 8-10 – Walnut Creek/San Francisco, CA | Spending time with friends and supporters and meeting with two potential new church partners. Oct. 11-14 – Portland, OR | Spending time with friends and planning to share at their community group. Oct. 14-16 – Yakima, WA | Seeing family and friends, meeting with current supporters and connecting with two supporting churches. 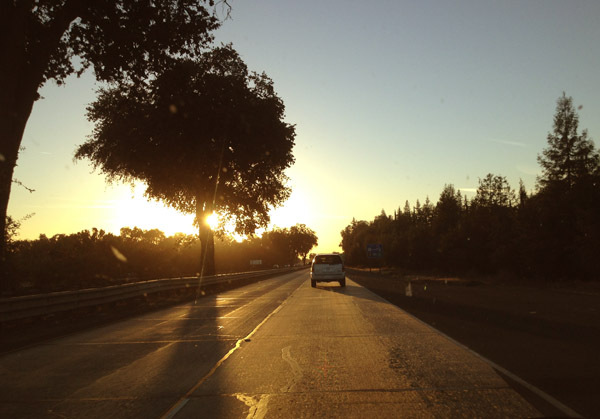 Oct. 17-18 – Travel and Roseville, CA | Traveling days, but connecting with current friends and supporters. Oct. 18-21 – Kingsburg, CA | Back in Kingsburg to lead music again and help with junior high ministry. From Kingsburg we’ll head back to our home in Santa Clarita, spend four days regrouping and repacking, and then we will hit the road again for a month long training in Colorado! We would ask you the please pray for us during this time of travel and connecting with people. Please pray for safety as will put over 2000 miles of travel in. Please pray for God to use this time to encourage our hearts and open the doors for more partners in ministry. Our hope is for God to use this time to grow our prayer and financial support, encourage those around us, and for us to be able to share all of what God is doing in our lives.